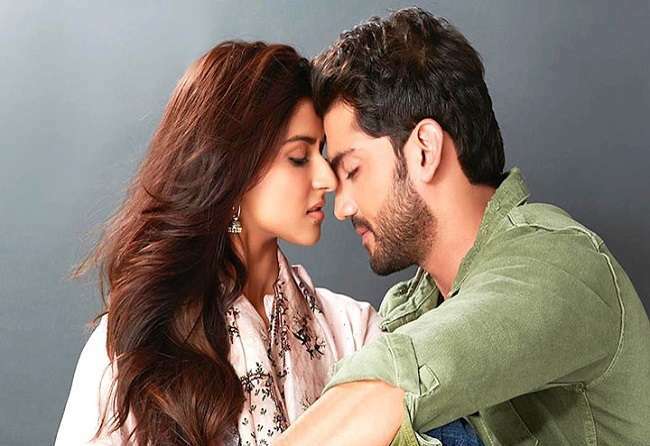 Confident and commanding… These words are apt for the two newcomers Salman Khan launches in #Notebook: Zaheer Iqbal and Pranutan Bahl… Filmed in the stunningly beautiful #Kashmir, #Notebook charms you with its simplistic plot and sensitive direction. Love as a buffer against militancy? What a good idea. But not in this airy-fairy, ineffective way that Notebook propounds: the performances by the newbies, with Iqbal faring just a trifle better than Bahl (with an enviable acting lineage from Shobhana Samarth to Nutan to Mohnish) is as two dimensional as the plot. Notebook is presented by Salman Khan’s production company, but do not expect the advent of Zaheer Iqbal to be epochal. He is no patch on Bollywood’s lover boys. Not only is he a single-expression actor, he needs to work on his dialogue delivery. He seems at times to rush through his lines. Pranutan Bahl, the granddaughter of one of the finest actresses that Hindi cinema has ever produced, isn’t a finished article. But because she is a chip off the old block, we will watch her progress with keen interest while wishing that her next project isn’t as pedestrian as Notebook. Honestly, there is nothing wrong with this film. You only wish it hadn’t been so antiseptic. After all, fairy tales are best when they are written by Brothers Grimm (Cinderella) and Lewis Carroll (Alice In Wonderland). Verdict: Oh, well it depends on whether or not you subscribe to the age of innocence. Pranutan is expressionless and Zaheer’s got big eyes — there’s a scene where they grow so big, I feared they might fall off. But that’s about it.What doesn’t is the photography. Manoj Kumar Khatoi’s camerawork is a treat for the eyes. Arresting visuals of wooden houses, poetic lakes, snug boats, chinar gardens and imposing mountains create an elegant, mystical mood.More photobook than notebook, this. Notebook is not perfect, but like the sterling Kashmir waterscapes in the film camouflaging so much turmoil, and captured here so beautifully by cinematographer Manoj Kumar Khatoi, it too is worth a visit. ‘Notebook’ is an easy watch where you can appreciate the humour, drama and romance. But the film leaves you wanting for more. Perhaps with more creativity in writing, this young romantic saga could have achieved more. Inspired by the Thai film, My Teacher’s Diary, the film begins well but starts slackening in pace. A good idea, it is the execution that falters. The second half especially could have done with some editing and better narrative tools than convenient twists that you can see coming a mile off. Notebook’s music – the soul of any romance that aims to launch newcomers -is its biggest letdown. Kakkar introduces two new faces with Notebook – Zaheer Iqbal and Pranutan Bahl. And the new kids on the block do not disappoint with their launch vehicle. Keeping with the simplicity of their characters, Pranutan and Zaheer bring out the innocence they are required to. With almost no scenes with each other till the very end, the chemistry is very much missing, but they end up putting up a good show with their individual share of screen time. Pranutan and Zaheer are here to stay.If you are looking for some old-world romance this weekend, Notebook is definitely a recommended watch for you.